PayneWest Insurance can meet virtually any insurance need for any company, regardless of size. The Riscover® process lets us plan for your future while looking around the hidden corners at risks you might never anticipate. 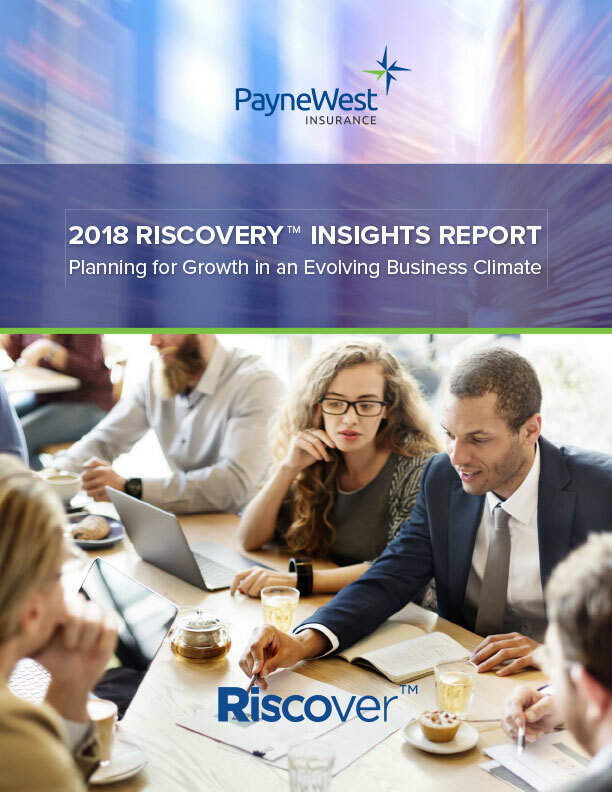 In the Riscovery™ Insights Report, you’ll find risk benchmark information facing construction, health care, agribusiness and a variety of other industries curated from over 100 responses from all professional levels surveyed. Please fill out this form to download the Riscovery Insights report. All fields are required. Our agents work with fleets of all sizes to determine the appropriate coverage levels for the vehicles and for the employees who drive them. We’ll help you secure fleet discounts and develop best practices that promote safety and cost savings. PayneWest’s experience and knowledge help assess risk for each client and select the appropriate policies and coverage limits. Our expertise also helps us get our clients extraordinary value from our carriers. For many companies, the greatest assets on their books are their buildings, offices or factories and what’s inside them. PayneWest Insurance works with clients to achieve an appropriate coverage limit based on property value in the event of a catastrophic event. In fact, we have the knowledge to advise you on avoiding catastrophe all together. Mistakes will happen and we can protect you when they do. In addition to professional liability coverage, PayneWest Insurance can provide guidance on the inclusion of liability coverage for employment practices, employee benefits and directors and officers liability. These additions typically provide deeper protection of company and personal assets, and in some cases, can even help cover legal fees. We look for cost-saving opportunities and present them to clients. In fact, we have an entire team dedicated to helping clients reduce risk and financial exposure through work safety plans, Return to Work programs, quality control measures, Internet security protocols and much more. Businesses often purchase liability protection above and beyond their primary policies. That’s where umbrella policies come in. We never think you should buy more coverage than you need, so we’ll work with you to assess any additional areas of need and determine appropriate coverage levels. We make sure our clients are properly insured, not over-insured. We work closely with clients to select the right provider for your company’s workers’ compensation insurance. We assess our clients’ mod rates, arrange for safety audits, help set programs to reduce fraud and provide suggestions for improving the safety of their operations — often resulting in better rates.